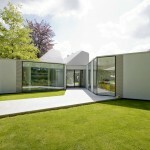 Grosfeld van der Velde Architects have completed the KvD House in Breda, The Netherlands. 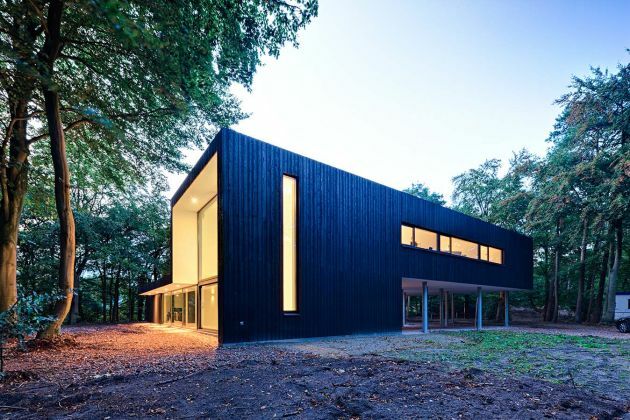 House KvD is located in the woods of Teteringen, close to Breda. 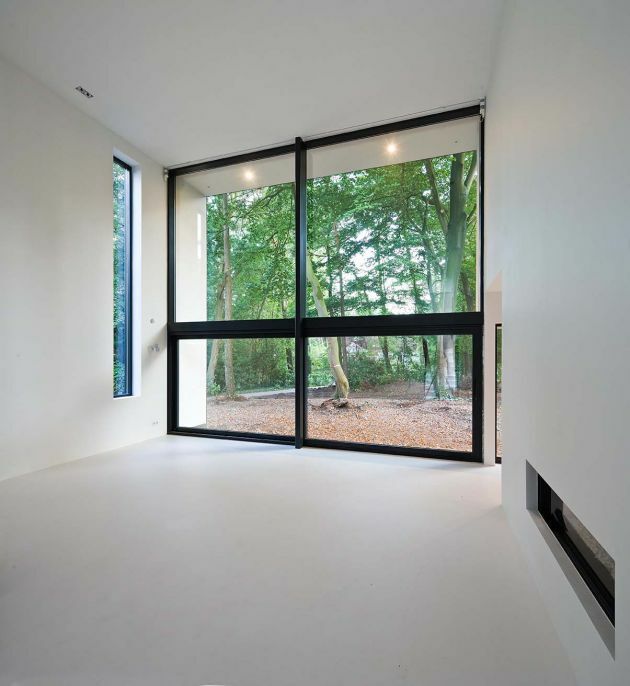 Important, from the residents point of view, was to experience the green environment in a most intense way. 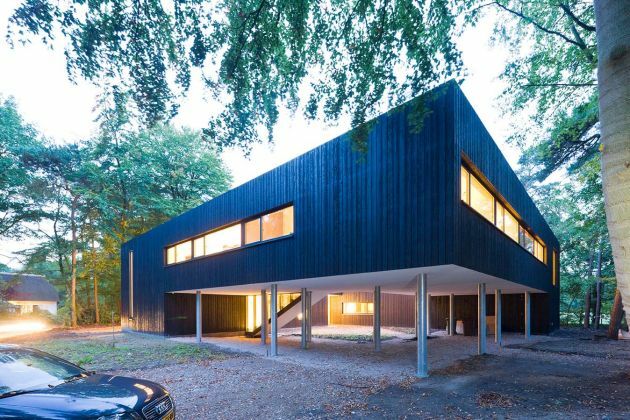 This ambition has formed the main concept of the building: A house that feeds in between the trees, giving every arbitrary movement a surprising perspective on the forest. 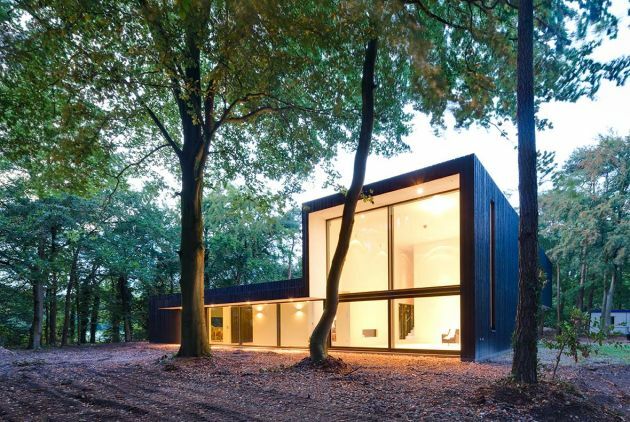 The square-shaped volume keeps you, while moving through the building, in constant contact with the environment. 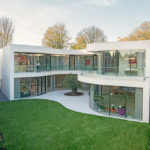 The square, that’s partly lifted by piles, embraces an open courtyard on which the entrance is situated. 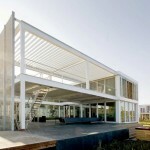 The living rooms are located on ground zero, the bedrooms are lifted and provided with horizontal orientated windows. 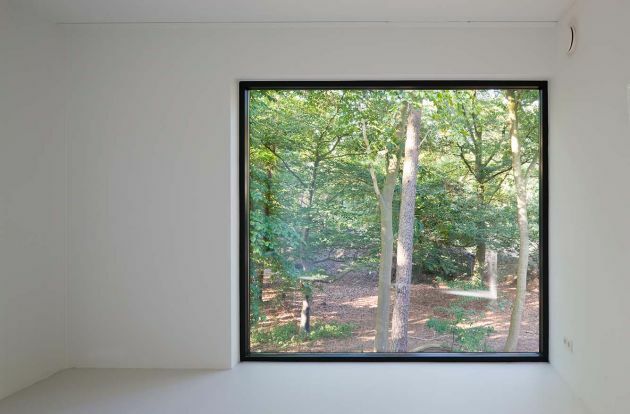 The framework, situated on the outside of the building, are filtering direct incoming sunlight and give a beautiful ‘cut out’ view of the forest. They also intensify the sculptural characteristic of the volume. 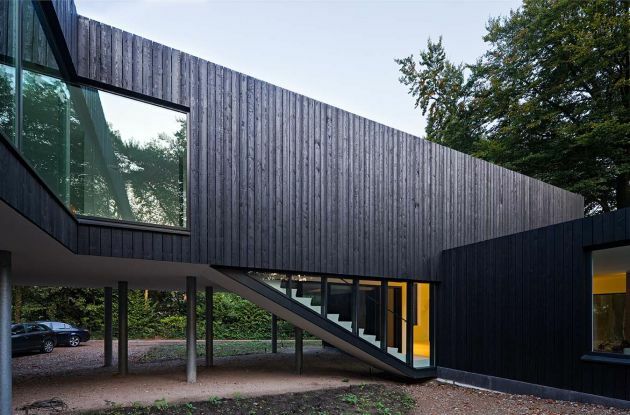 The façade is made of vertically placed black stained wooden parts. 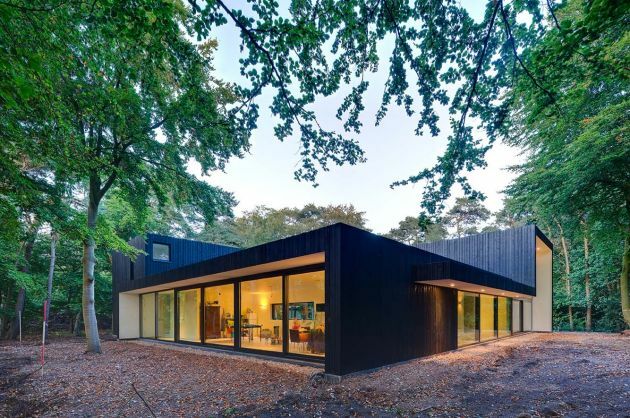 The subtle details in combination with shape and material make the house modern, but also reserved in it’s afforested environment. 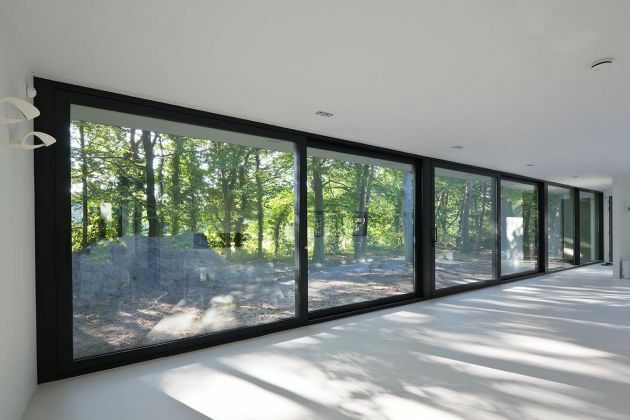 Visit the website of Grosfeld van der Velde Architects – here.